In response to two articles published by Colombo Telegraph on alleged acts of corruption involving Felix Rodrigo, a ‘Senior Advisor’ to Minister of Tourism Development and Christian Affairs John Amaratunga, Green Leaves Leisure – the company at the centre of the Chinese weddings fiasco – has sent the following statement. “Green Leaves Leisure is a legally established, registered travel & tourism company that has independently developed the concept of ‘The Royal Wedding ‘ in Sri Lanka for 100 Chinese couples. This concept captured the imagination of the chinese wedding market. The chinese television company CCTV gave wide coverage to this event. Resulting in the generation of two more similar events in the coming year. This chinese wedding saw 400 tourists visiting sri lanka & generated revenue to hotels, restaurants & retail establishments. And put Sri Lanka on the map as the destination for off-site weddings. It should be specifically mentioned that, Green Leaves Leisure (GLL) did not canvass the support of Sri Lanka Tourism Promotion Bureau (SLTPB). But facilitated the inclusion of the Ministry of Tourism & the Ministry of Megapolis out of professional curtesy to the industry and with a view of promoting Sri Lanka tourism. The company has at no time acted in a manner to warrant an investigation nor have we been informed of such an inquiry. Therefore it is erroneous to intimate that these Wedding events are diverted to Green Leaves Leisure by SLTPB or the Ministry of Tourism. As this was a concept exclusively developed by GLL. In fact Green Leaves Leisure has committed to bring in 10,000 tourists into the country monthly. These tourists will be fed in to existing Hotels, Restaurants, Tour guides, Transport, Retail Establishments and Airlines. Green Leaves Leisure does not operate any of these ancillary & complementary clusters. It is interesting to note that unlike the Royal Wedding Event which brought in 400 direct tourists without any sponsorships from Sri Lanka Tourism Promotions Bureau’ several other events organised by private corporations have been underwritten or sponsored without any quantifiable benefit to the country in terms of tourism promotion. Most recently, The Power Boats Event down south, sponsored by SLTPB. The Choir Games (run by a private profit making company) underwritten by SLTPB, The Sound of Music Production an event by a development consortium as part of it’s local promotions for their mega development project. And finally the Black Tie Dinner hosted at the Savoy Hotel for the British Travel Writers Association in London underwritten by SLTPB for 20 million rupees which did not generate a single article on Destination Sri Lanka. The ethos of Green Leaves Leisure is to be complementary & work together with all stake holders to promote Sri Lanka as a destination of choice in the international travel market. Currently we are in the process of finalising preferred partner hotels to launch Sri Lanka at the Destination Business Conference again as an independent Travel & tourism company without any backing or support of SLTPB or the Ministry of Tourism. While standing by its story, Colombo Telegraph wishes to pose several questions to Green Leaves Leisure. We expect Green Leaves Leisure on any party representing the company would respond to the following questions raised by the Investigations Desk of Colombo Telegraph. 1) What is the connection between Harindra Rodrigo, the owner of Green Leaves Leisure and Felix Rodrigo, a “Senior Advisor” to the Ministry of Tourism Development and Christian Affairs? 2) If Green Leaves Leisure (GLL) “did not canvass the support of Sri Lanka Tourism Promotion Bureau (SLTPB), but facilitated the inclusion of the Ministry of Tourism & the Ministry of Megapolis out of professional courtesy to the industry and with a view of promoting Sri Lanka tourism,” why did Mr. Udaya Nanayakkara, former Chairman of the SLTPB receive a directive to pay Rs. 6 million to your company, following the first Chinese wedding event in Colombo ? 3) Who was instrumental in sending this directive? 4) On what grounds was Udaya Nanayakkara directed to make this payment ? 5) Why was Udaya Nanayakkara sacked upon his refusal to pay an amount of. Rs. 6 million to Green Leaves Leisure ? 6) Earlier this month, the Tourism Development Ministry and the Sri Lanka Tourism Promotional Bureau hosted a press conference to announce an agreement signed between Green Leaves Leisure and Chinese based Yingke Travels, a subsidiary of Vanta Field Industrial Shanghai Co. Ltd. On what grounds did the Tourism Development Ministry organize this press conference and invite journalists for the event ? 7) Did the relationship between Felix Rodrigo and Harindra Rodrigo play any part in the Tourism Development and Christian Affairs Ministry walking an extra mile to promote business ventures entered into by Green Leaves Leisure ? 8) How does Green Leaves Leisure categorically claim that no money has been “siphoned out” from SLTPB or from the Ministry to Felix Rodrigo? How can a private company vouch for a official working for a government ministry? 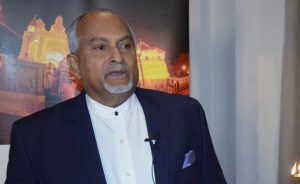 9) Shouldn’t Mr. Felix Rodrigo resign from his position given that Mr. Harindra Rodrigo and his company is working closely with the Tourism Development Ministry and the Sri Lanka Tourism Promotional Bureau on matters of business interest ? 10) Doesn’t Felix Rodrigo’s continuation in office in the capacity of ‘Senior Advisor to the Minister’ indicate blatant conflict of interest? Moneymaking business in many makes and forms. There’s no limits for greediness. Country comes last you and your family first. Greedy selfish Nincompoops full of them in Apeh Aanduwe. Scroungers of the country and from its people to get rich. Look what Colombo Telegraph is up to, preventing the Sinhala/Buddhist culture and customs being spread to far and wide places through Chinese wedding market, stopping Sri Lanka from being the first choice of destination. 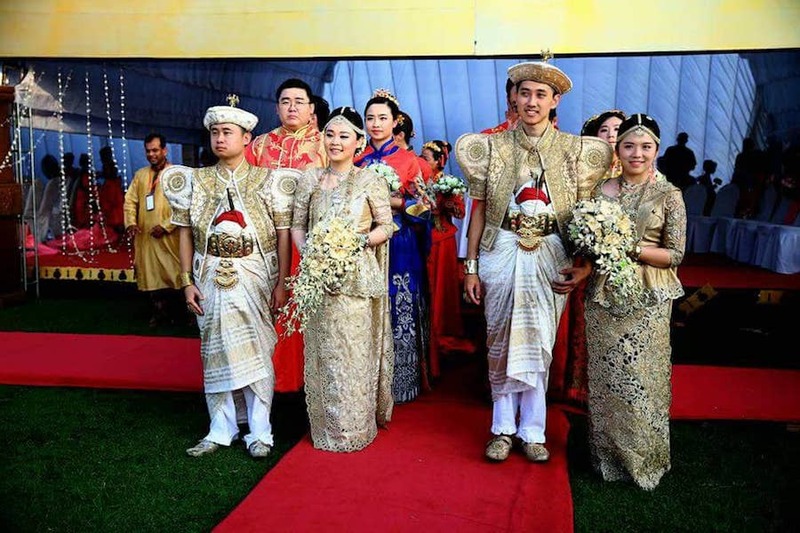 The Chinese couple looks brilliant in their Kandyan Nilame Attire and Osariya than their Sinhalese counterparts. Must be the Complexion that enhances the Chinese couples beauty. Yes, but the spreading seems to be the work of Sinhala Christians. Is there a conspiracy behind this? Oh gosh, I never knew this. couple’s or couples’ beauty. You missed an apostrophe somewhere. I think they look quite pale and not so brilliant. The Sinhala/Buddhists keep typing/saying they are of fairer complexion because of their Aryan ancestry their Dravidian brethren are …. darker skinned than the Aryans. What’s this now? Chinese getting married in Sri Lanka wearing Portuguese coats and hats ,Malay bottoms, Punjabi shoes, and Kerala sarees? Can it get more bizarre? Green Leaves Leisure (GLL) organised this Lankan wedding for Chinese. GLL will NOT organise Chinese wedding for Lankans because there is no money in it. The Chinese couples look stunning. The concept is excellent provided it can be successfully marketed. Sri Lanka should be marketed as a Tourism Destination and not merely a Wedding Destination. China is the largest outbound tourism market in the world today and Sri Lanka needs to target even a small slice of this huge market. To most of us, marriage is a once in a lifetime solemn occasion. Is it morally correct to turn this into a money making venture behind the ‘Tourist Promotion’ mask? Worse to turn it into a fancy dress circus? And that by the Minister of Christian Affairs? Lets have a response for the very fluent, clear questions raised by CT. Thats all that is important. K Pillai states ‘To most of us, marriage is a once in a lifetime solemn occasion’. K Pillai as a Tamil you must know how much we remain married but indulge in infidelty (both men and women). Haven’t you slept with other women K Pillai while married? As answer is obvious yes, would you agree you are faking your marriage?